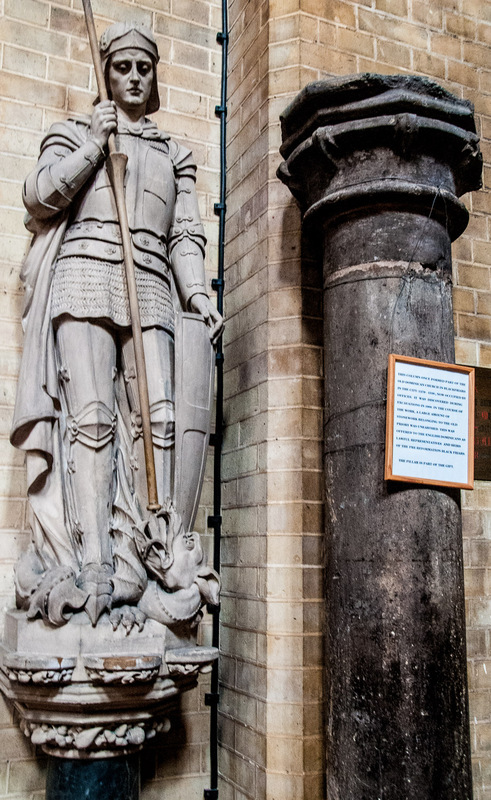 It is difficult to grasp nowadays just how much Medieval London was dominated by the Church, but its traces are still very evident today in, for example, the names of streets and surviving districts. Before the Dissolution more than thirty monasteries, convents, priories and hospitals squeezed into the City’s ‘square mile’ or huddled outside against the still-surviving Roman wall. 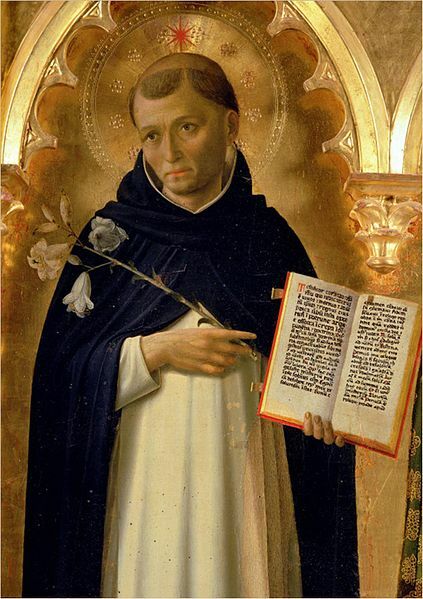 Today I am going to write about two of them, the Dominicans and the Carmelites. 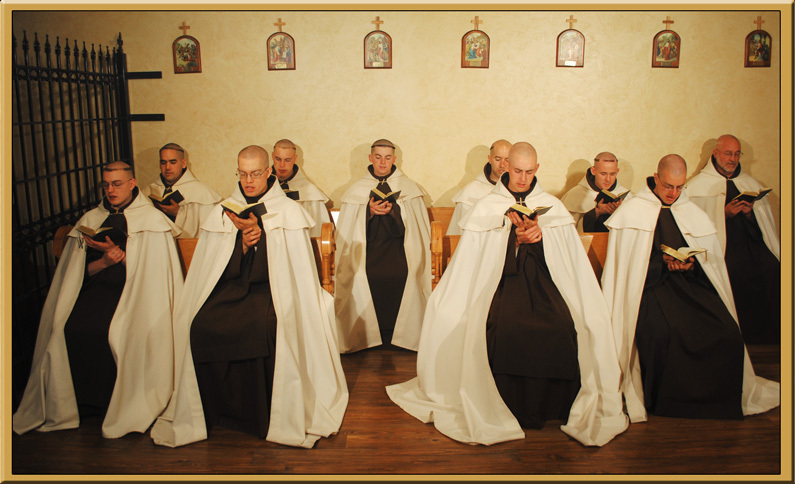 I will write about the Franciscans and the Augustines in a subsequent blog. 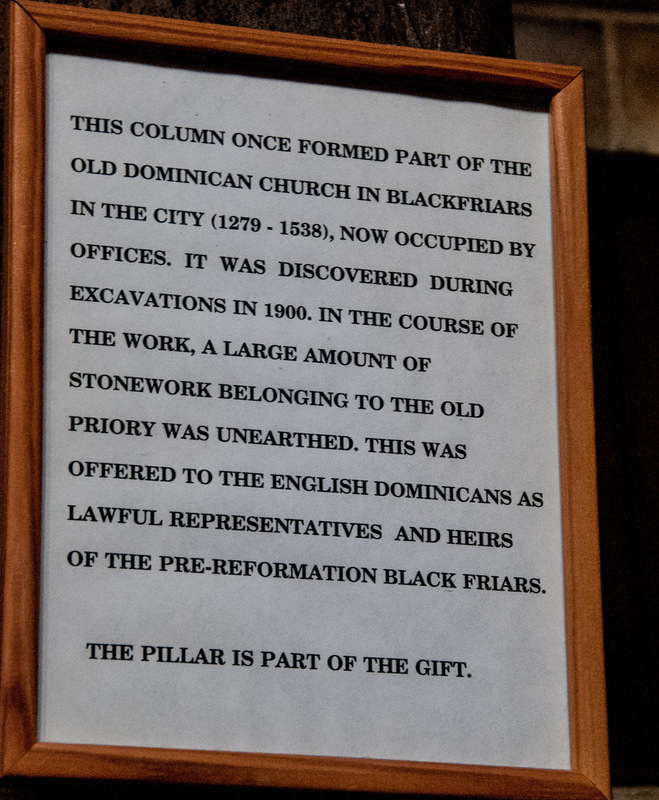 The friars tended to be teaching orders, and accordingly their churches were built to accommodate a large congregation in a fashion that meant the preacher could be seen and heard by everyone. The buildings and land they owned became extensive and were obviously an incredibly valuable acquisition for Henry VIII when their Dissolution started in 1536 under the diligent management of Thomas Cromwell. So prestigious and important was the monastery that it was chosen as the location for various parliaments and privy councils. 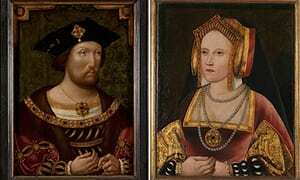 Ironically, however, given what was to happen later, it was also the venue of the divorce hearing between Henry and his queen Catharine of Aragon. 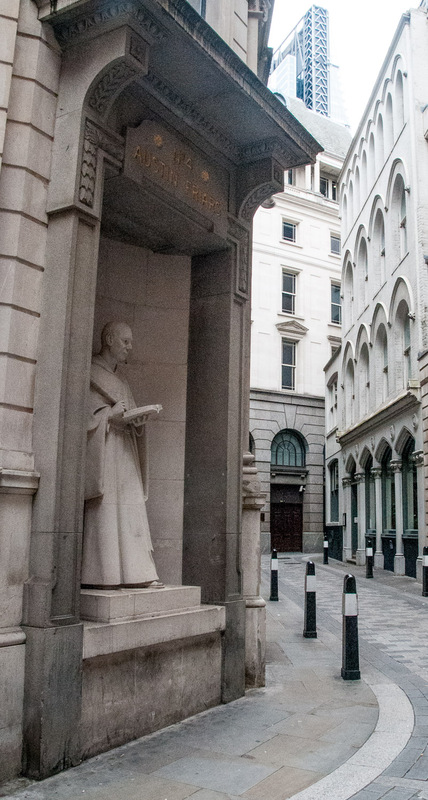 As you walk around the area now known as Blackfriars imagine the scene on 21 June 1529 when Henry and his first wife Catharine appeared before Cardinal Wolsey and the papal legate Cardinal Campeggio, who were there to hear testimonies as to the validity of the King’s marriage. Henry and Catharine – together again at the National Portrait Gallery in 2013. Henry is in his 30s before he became grossly overweight. Henry, already infatuated with Anne Boleyn and desperate for a male heir, was hoping for annulment on the ground that Catharine was his brother’s widow and that the subsequent marriage to Henry was against biblical teaching. But things did not go according to plan. An incredibly eloquent speech by Catherine brought enormous sympathy from onlookers who had already cheered her entrance (you can read her speech online, it is still very moving). Henry was defeated and the subsequent refusal of an annulment by Pope Clement VII would set the King on the road to the dissolution of the monasteries, priories and convents and the appropriation of their income and lands. 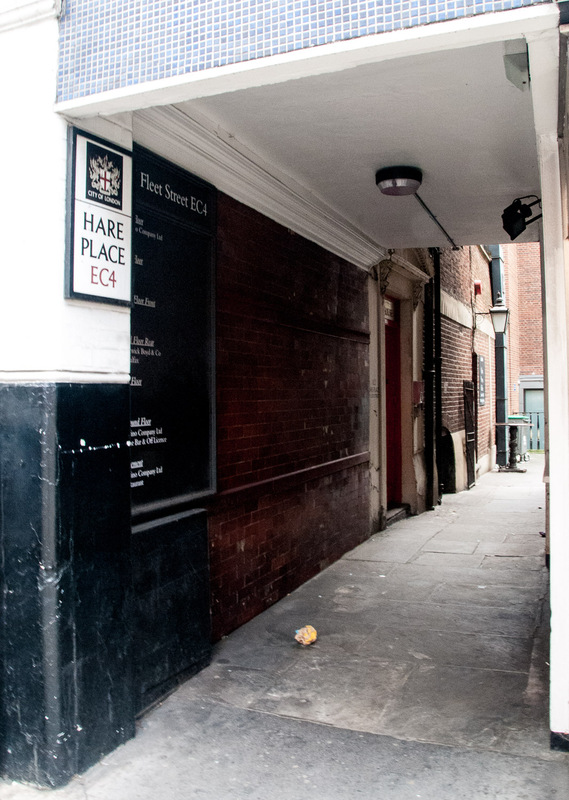 After the priory was dissolved in 1538, the hall where the hearing was held served as the Blackfriars Theatre, hence the present name of Playhouse Yard. Shakespeare’s plays were performed here, and the dramatist himself had property close by in Ireland Yard. There is a deed of conveyance dated 1613, bearing one of the few extant Shakespeare autographs (see below), and the quirky Cockpit Pub claims it stands on the property’s site. 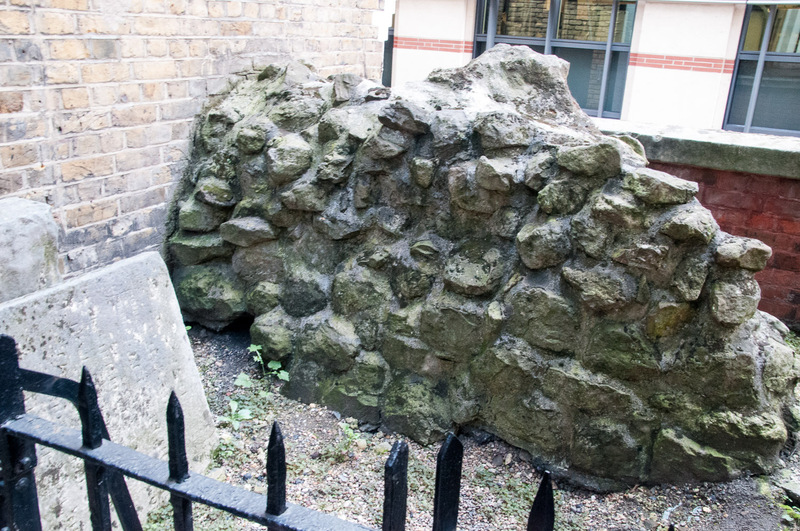 It’s rather sad, isn’t it, that these few bits of stone tucked away in an old churchyard are seemingly all that remain of the great Blackfriars monastery. Back in the City, you might like to walk just around the corner from the old monastery stones to the little passage known as Church Entry. Here you will be following the approximate line north-south between the monastery church nave and the chancel. After the Dissolution, it was used as a churchyard for the parish of St Ann Blackfriar. 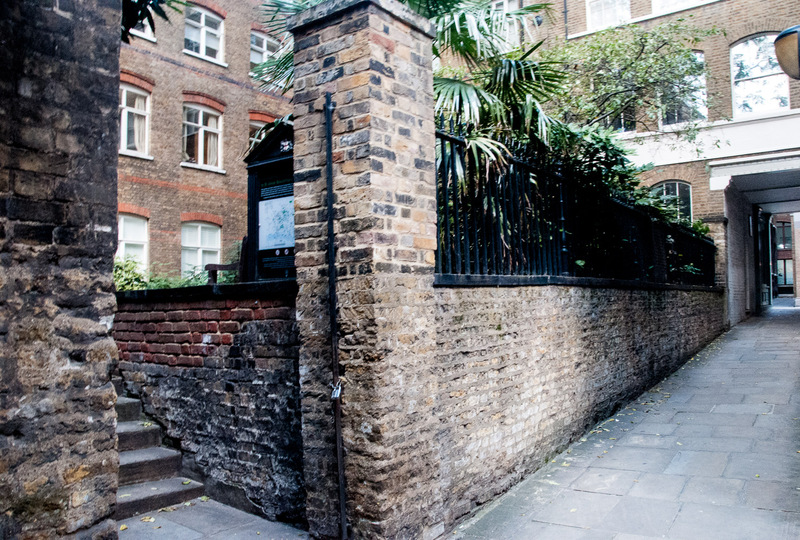 The Carmelite monastery was founded in the 1240s on land just south of Fleet Street. Originally hermits living on the slopes of Mount Carmel, they fled on the Saracen reconquest of the Holy Land and those arriving in London ceased to be hermits and became more visible in the community. They were known as Whitefriars after the colour of the mantle worn over their brown robes. Theirs was a typical group of friary buildings including a church, cloister and chapter house and their library was said to be particularly notable. After the priory was dissolved in November 1538 the land was sold to individuals who subdivided their plots and built tenements on them. However, this precinct had long possessed the privileges of Sanctuary, which were confirmed by a charter of James I in 1608. From about this time the area was known as ‘Alsatia’ (after the disputed continental territory of Alsace), and its entrance was in Ram Alley, now known as Hare place. The privilege of Sanctuary was finally abolished in 1687. 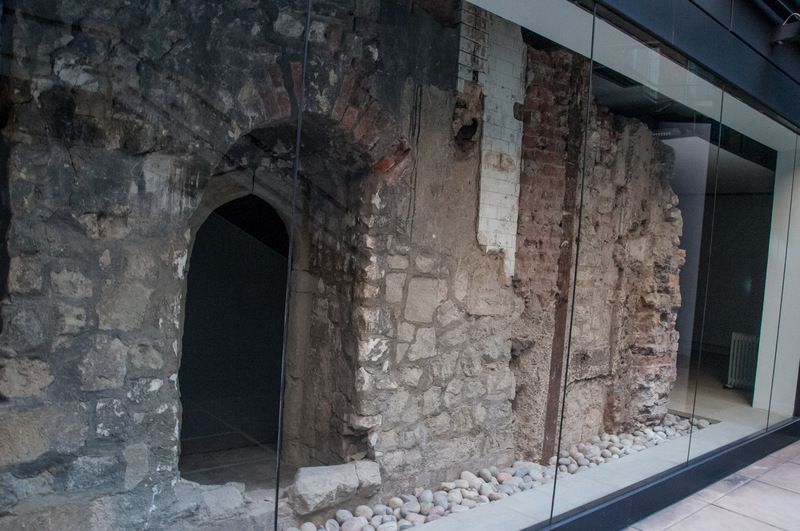 I am really pleased to say that you can still see the crypt of the old Carmelite Priory. 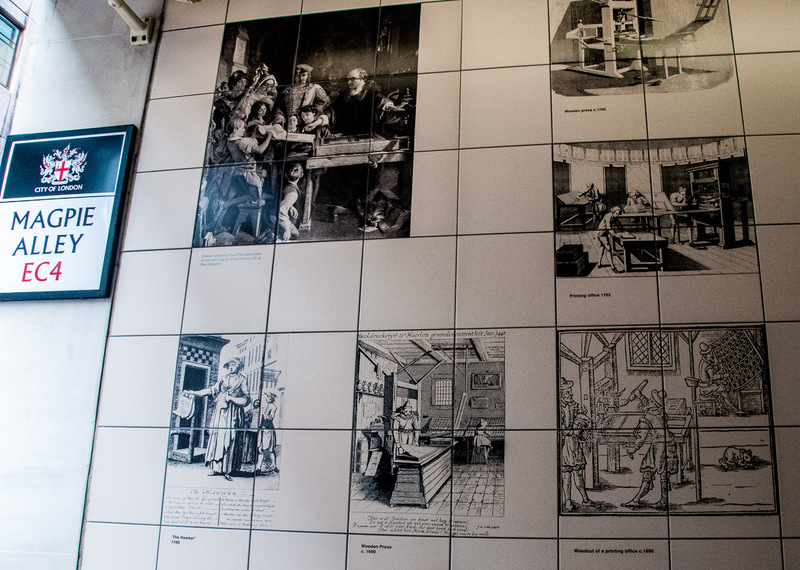 Walk down Bouverie Street and turn left into Magpie Alley where tiles illustrate the historical connection between this area and the print industry. 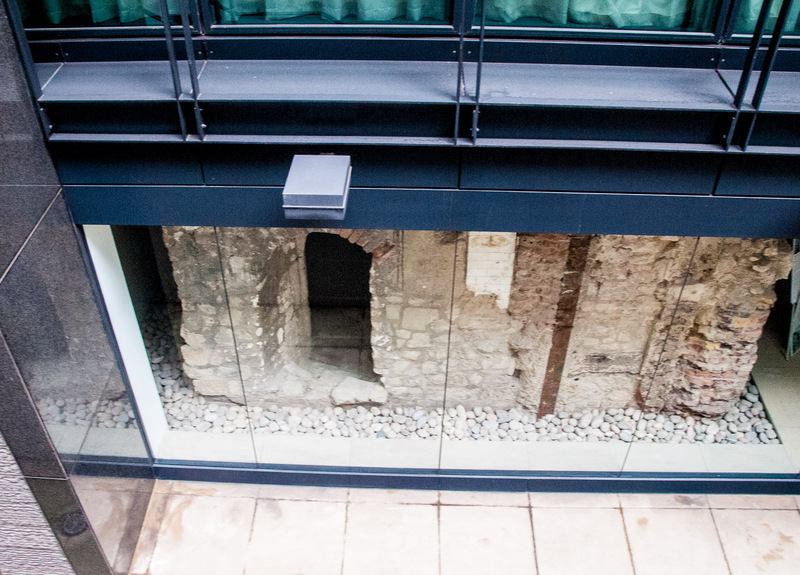 At the end of the alley you can descend a short flight of stairs and gaze at the remains of the crypt. They were discovered in 1895 and were moved here on a concrete raft from the west side of the road during building development in the 1980s.